In 1961, the International Organization for Standardization (IOS) changed international trade forever. After container shipping was introduced onto the importing/exporting scene in 1956 by Malcom McLean — whose contributions to modern international trade cannot be understated — the IOS introduced standardized container sizes. With standardized measurements making loading a ship much simpler, container shipping took off. International trade took off, too. Once prohibitively expensive, ocean-going freight dropped in cost, opening up the import/export industry for smaller ventures to get a piece of the pie. By 1973, most ocean freight was containerized; today, shipping containers and international trade are inseparable concepts. If you’re importing anything from overseas, chances are you’re going to be dealing with ocean freight (unless you really love air freight, we suppose!). Even if you aren’t, with containers spilling over to rail and truck shipping, importers over a certain size will deal with containers at some point. FCL, LCL, exams, container sizes, fluctuating costs… there’s a lot to know if you’re shipping overseas. Now that you know the history of container shipping, let us tell you how to do it best in the present! When built to these standard sizes, containers can be used in ocean, rail, and truck freight, simplifying the transport process. While the sizes are standardized, the actual builds of containers can vary widely. Those who are shipping fresh foods will want a closed, refrigerated container; someone shipping bulky rocks from a quarry may opt for an open-top container. Choosing which container is right for your goods is determined by a number of factors — factors like cost. Unfortunately, calculating your container costs isn’t as easy as just picking what kind you’ll import your goods in. Different packing methods and transport contracts can affect your final expenses, as can shipping during peak season. One of the primary cost considerations you’ll have is to ship Less than Container Load (LCL) or Full Container Load (FCL). Unfortunately, it isn’t as simple as deciding if what you’re importing fills out a full container or not! Less than Container Load shipping means mixing your imports in with other cargo in the same container. You book a portion of the container, and only pay for that portion. This makes LCL shipping, on average, cheaper than FCL. However, LCL does have its downsides. Shipping LCL means you’re at the mercy of other importers also filling up the container, which requires coordination that can take time. You may save money on shipping costs, but have a dry period with little to no goods to actually clear and sell. Keeping a reliable amount of stock on hand when shipping LCL might take some strategizing. If your primary concern is cost and time isn’t an absolutely crucial factor, LCL shipping may be better for you. If you’re more concerned about speedy delivery, or if you’re just importing a lot of stuff, you should consider FCL instead. Full Container Load shipping is more expensive than LCL, because you’re renting out an entire container to yourself. This means the full cost of transportation is included in your expenses — you’re not sharing the load with other importers. Despite the extra cost, FCL shipping has one big advantage: it’s usually faster. You load the container, you manage your contract with the shipper alone, and you receive the container alone. No coordination time with other importers means the only wait time you’ll have is on your chosen shipping route. Because FCL is faster, some importers opt for it even if their goods don’t entirely fill a container. If you’re unsure of your shipping needs, we provide customs consulting! While we’re talking about time and cost, there is one other important factor for container shipping to Canada: CBSA exams. Just how many containers CBSA examines varies. The vast majority of shipping containers coming through Canadian ports are not selected for examination, but if yours is, you might be in for a little wait. CBSA aims for all examinations to be completed within 24 hours, but at busier ports like Port Metro Vancouver, backlogs can extend the waiting period. In addition to time, there are some costs involved. CBSA itself charges nothing for exams, but transport costs can be passed on you. Everything CBSA does — the inspection personnel costs, equipment costs, anything else — is covered by the agency. It’s in getting your container to a centralized examination facility that fees can fall on you. The facility operator charges your shipping line for transport and unloading costs, and the shipping line then may bill you. Unfortunately, there is no way to predict a CBSA exam. You just need to be prepared for uncertainties in your supply chain. There’s no denying it — container shipping is international trade. When Malcom McLean launched the maiden containerized voyage of the SS Ideal X, a shipping revolution was put into motion that continues to this day (remember those new 60-feet containers?). 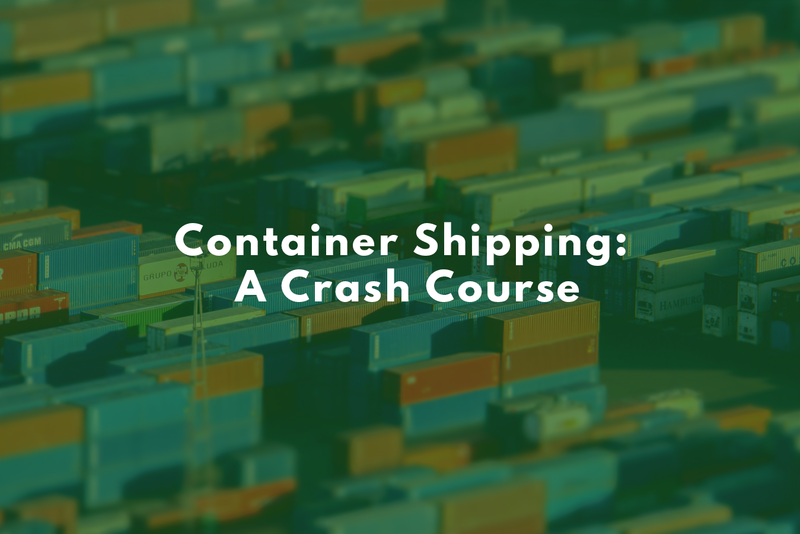 Figuring out what methods of container shipping work for your organization can take a little work — hopefully, now you feel a little more equipped to make the best decisions. Happy importing!